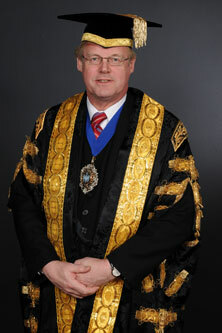 Sir David took office as the 684th Lord Mayor of the City of London on Friday 11 November 2011. In addition to his long and distinguished career in the legal profession, Sir David provided dedicated service to the City of London and its people in many different ways for more than thirty years. Born in Yorkshire, Wootton was educated at Bradford Grammar School and Jesus College, Cambridge (Classics and Law). Wootton became a Partner at Allen & Overy in 1979. He is a committee member of the City of London Law Society and Chairman of the City of London Branch of the Institute of Directors. Sir David is a passionate advocate of the Livery movement and is a member of many Livery Companies, including the Worshipful Company of Fletchers, the Worshipful Company of Solicitors, and the Glaziers. He is also a member of many other groups, such as the Langbourn Ward Club (Vice-Chairman), the Guild of Freemen, and the City of London branch of the Royal Society of St George. His lifelong interest in education is reflected in his work with local schools; he is a governor of the Guildhall School of Music and Drama, King Edward's School, Witley, and the City of London Academy. He has also sat as a City magistrate.